Shortness of breath is a symptom associated with a variety of health conditions. So if breathing becomes difficult, see your doctor soon. 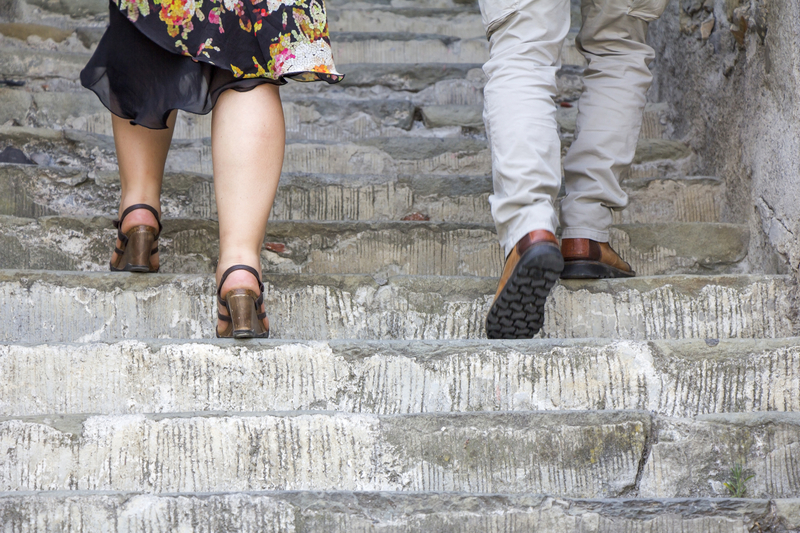 Climbing a steep set of stairs may cause shortness of breath, but make sure there's not a more serious reason for any huffing and puffing. You may jog up a flight of steps or take an extra lap in the pool and find yourself a little winded when you stop. Shortness of breath following those moments of exertion is normal for most people. But what causes shortness of breath when you’re doing something you used to do without much effort at all? “Shortness of breath is a symptom of an underlying problem or problems, not a disease of its own,” says Jason Fritz, MD, a pulmonologist at the University of Pennsylvania Healthy System. “There is a whole spectrum of things that can cause people to be short of breath, but it frequently stems from a problem that’s pulmonary (related to the lungs) or cardiovascular (related to the heart). “Sudden onset of shortness of breath may indicate something quite serious requiring immediate medical attention, such as a heart attack, a blood clot in the lungs or a problem with the aorta,” Fritz says. What follows are some of the more common causes of shortness of breath, including the very serious conditions, as well as those that are important but may not be reasons to go to the emergency room. You may think of chest pain as the only telltale sign of a heart attack. And while it’s true that most heart attack survivors report some type of chest pain, many of them don’t. 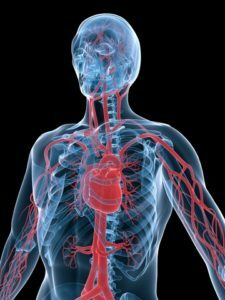 A heart attack—which occurs when one of the arteries in the heart becomes blocked, preventing blood from reaching the heart muscle—can also bring on pain in the arms, back, neck, or jaw. Other symptoms include nausea, lightheadedness, fatigue, a cold sweat, and yes, shortness of breath. When high blood pressure develops in the arteries supplying the lungs with blood, the condition is called pulmonary hypertension (pulmonary refers to the lungs and hypertension is another word for high blood pressure). Shortness of breath is the main symptom of pulmonary hypertension (PH), says Vallerie McLaughlin, MD, director of the Pulmonary Hypertension Program at the University of Michigan Frankel Cardiovascular Center. She warns that PH is often misdiagnosed as asthma or another lung problem, unrelated to a blocked blood vessel. But PH is a serious condition that can lead to right-sided heart failure. “The right side of the heart is having trouble pushing blood flow through the lungs—and it’s (blood) not getting to the left side of the heart and then to the body,” Dr. McLaughlin explains. PH shares several other symptoms with a heart attack, including chest pain or discomfort, lightheadedness, and fatigue. PH can also trigger a racing heartbeat and cause swelling in the ankles and legs. Tests for PH include an echocardiogram—an ultrasound of the heart—and a right-heart catheterization, in which a catheter is guided to the right side of the heart to check the pressures in the blood vessels there. There are medications that can help relax the blood vessels in the lungs or increase the supply of blood and oxygen to the heart. In the most serious cases, a lung transplantation may be necessary. Chronic obstructive pulmonary disease (COPD) is a chronic inflammation of the airways that makes it hard to breathe. COPD includes two conditions: chronic bronchitis and emphysema. In addition to shortness of breath, COPD is also accompanied by coughing and excessive mucus production. Mild COPD can be treated with medications that help open your airways, while serious COPD may require oxygen therapy. During a panic attack, shortness of breath is one of several symptoms that come on suddenly. Others can include a racing heart rate, tightness in the chest, dizziness, sweating, and an upset stomach. These signs are produced by the body’s autonomic nervous system. It’s often called the “fight or flight” response, but it can be confused with a heart attack, says April Stempien-Otero, MD, with the University of Washington Medicine Regional Heart Center Cardiology Clinic. “Your body is preparing you to either fight off a threat or flee to safety, and that’s serious stuff,” she says. A panic attack usually lasts for less than 30 minutes. It may only last a minute or two, depending on the circumstances. It’s different than an anxiety attack, which isn’t a response to a sudden threat, but is instead an emotional response to an imminent event. It could be something as minor as being a few minutes late to an appointment or as significant as coping with a terminal illness. An anxiety attack, which can persist for days at a time, includes symptoms such as irritability, restlessness and fatigue. When shortness of breath comes on gradually, as it does with pulmonary hypertension and COPD, as well as asthma and some allergies, you may not notice the change in your breathing. Obesity and a sedentary lifestyle can also lead to shortness of breath after mild exertion. Throughout your day, take a moment to evaluate how you’re breathing. Are you getting out of breath after activities that you used to do without trouble? Are you wheezing or coughing? If so, tell your primary care physician. If you find yourself with noticeable changes in your breathing, see a pulmonologist and have your lung function evaluated. Other tests, especially if heart problems are suspected, may be necessary to diagnose your condition. a heart attack, allergies, an anxiety attack, anxiety, anxiety attack, asthma, blood clot, blood pressure, bronchitis, cardiology, cardiovascular, chest pain, cholesterol, cholesterol high, chronic bronchitis, chronic inflammation, chronic obstructive pulmonary disease, copd, copd chronic obstructive pulmonary disease, diabetes, dizziness, echocardiogram, emphysema, fight or flight response, for high blood pressure, heart attack, heart attack risk, heart attack risk factors, heart attack symptoms, heart attacks, heart failure, heart muscle, heart problems, high blood pressure, high cholesterol, hypertension, inflammation, lung problem, mild copd, mucus, muscle, obesity, obstructive pulmonary disease, oxygen therapy, pain, panic attack, pulmonary disease, report, sedentary lifestyle, shortness of breath, smoking, wheezing. I thought you might be interested in this article on https://universityhealthnews.com: What Causes Shortness of Breath?